Colombia’s chief prosecutor has admitted that only 11% of the investigations of murders of social leaders that took place since 2016 have led to convictions. 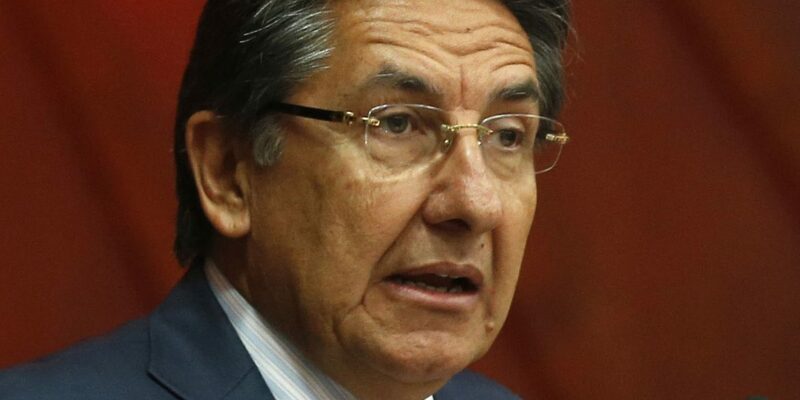 Prosecutor Nestor Humberto Martinez wrote the International Criminal Court (ICC) two days before hundreds of Colombians from all over Europe marched to the ICC to request a formal investigation, claiming that the corruption-ridden prosecution is failing. According to Martinez, 265 human rights defenders were assassinated in Colombia since 2016. This number is considerably lower than the 498 murders registered by the government’s human rights office. Of these 151 alleged assassins, only 29 were sentenced, 53 are being prosecuted and 66 are wanted by police. Three cases were closed because the assassin was murdered, Martinez wrote in his letter. When it comes to determining the person who ordered the killing, the prosecution was even less effective. In only 21.85% of the cases, the prosecution was able to determine a suspect. Martinez did not specify if any of these suspects were in court or even wanted by the police. “As if that was little, the decision with which these investigations have been assumed have allowed to identify 382 co-authors of which 243 have been captured,” Martinez wrote. In regards to the 498 killings of social leaders recorded by the human rights office, Martinez said that his office “solved” 214 cases, or 43%, “an unprecedented figure in the history of criminal investigations in Colombia,” said the chief prosecutor. In prosecution jargon, a case is solved not when the perpetrator is convicted, but when a suspect is identified. Martinez did not say if any of these suspects have been arrested or tried.